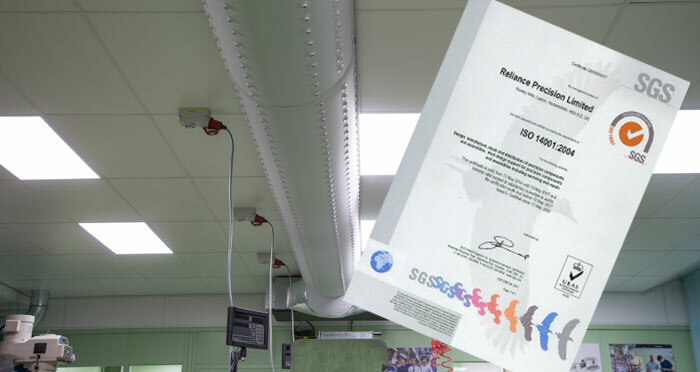 This has been part of the company’s environmental improvement strategy developed in line with its accreditation to ISO 14001, the international standard for environmental management. This strategy is reviewed twice per year by the senior management team, which reviews and sets targets for improvements in this important area. A new air handling system has recently been installed which maintains the temperature of the factory to 20°C +/- 2°. As well as reducing the amount of energy used it has led to improvements in the consistency and repeatability of the manufacturing processes. The lighting project – supported by a grant from Kirklees Council – has replaced a mixture of old style fluorescent and incandescent lighting with the latest LED technology. These lights typically use less electricity and give a daylight spectrum of light to improve the working environment. The trial roll out across the factory has been so effective that plans are now in place to extend this style of lighting into the office areas.